Nestled in the crook of the Tasman bay on the north coast of the South Island, Nelson is one of the sunniest places in New Zealand. 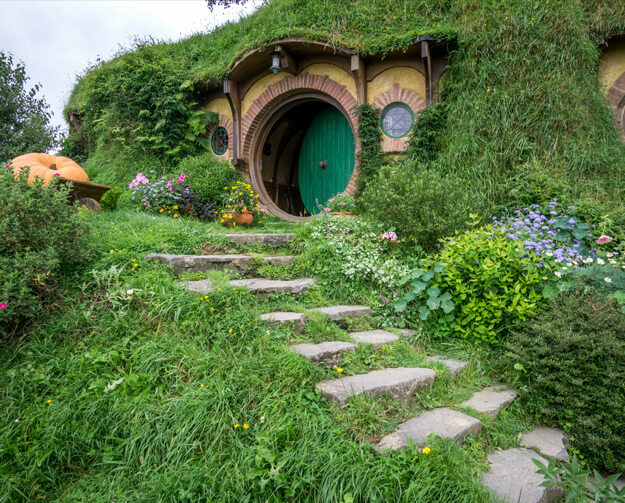 The city also enjoys close proximity to three national parks, seven of the locations used in Peter Jackson’s Lord of the Rings trilogy of films, and many artisanal and creative delights. Named after British Admiral Horatio Nelson, the city holds some rare examples of colonial architecture and is a fabulous mix of old and new New Zealand. Luxury hotels in Nelson range from exquisitely-appointed colonial mansions and ultra-modern 5 star developments, to top-of-the-range waterfront villas and stunning retreats hidden away in lush gardens. Whatever your preferences are, you shouldn’t struggle to find something to suit your needs and taste from our collection of top-class hotels and indulgent holiday packages in Nelson. Whether you have the taste for adventure, you want to explore the countryside, or you love the buzz of a vibrant city, luxury holidays in Nelson have something for everyone. Head to the nearby Abel Tasman National Park for long coastal walks, sea kayaking and the chance see some amazing marine wildlife, including seals and dolphins. For spectacular birds-eye views, take a helicopter ride over Kahurangi National Park and marvel at the verdant forests and alpine herb-fields. You’ll also be able to see Rotomairewhenua - a crystal clear blue lake. Make a trip to Golden Bay for sweeping sea views or visit the narrow beach at Farewell Spit, with its unique geological form and array of spectacular birdlife. For more astonishing panoramas, head to the lighthouse at Cape Farewell. The city of Nelson itself also has some wonderful attractions and must-see sights. Famed for its craft and design, Nelson’s World of Wearable Art & Classic Cars Museum is a great place to spend a few hours browsing the exhibits. The city is also home to hundreds of artists, sculptors and painters who exhibit and sell their work in the town’s shops and galleries, where you can pick up some fantastic souvenirs. Make sure you also try some of 11 locally-brewed craft beers during your stay. History-lovers can learn more about the city’s fascinating heritage at the Founders Heritage Park, which includes a museum, art and crafts shops and an old fashioned railway. In 1867, Nelson was dubbed the ‘Naples of the South’, and these days the city remains a sophisticated and enticing place to visit. Whether you spend just a few days here, or use it as your home-from-home for further exploration, there’s plenty of unique experiences to be had. At Azure, we offer a range of holiday packages which can be tailor-made to suit your individual needs and desires. Whether you want an adventurous, chilled-out or contemporary vibe to your getaway, don’t hesitate to get in touch with one of our New Zealand experts by phone or live chat. Our advisors will be more than happy to provide you with further information and help you plan your perfect luxury holiday in Nelson.